When most people think about traveling to Europe, all the major cities pop into their heads: London. Paris. Rome. Most people don't immediately dream of Budapest. After two visits to the Hungarian capital, I can say with certainty that Budapest is one of my favorite cities in Europe. It has everything I love: great history and architecture; fantastic views; affordable prices; and a downtown area that's easy to get around. It's also still slightly off the beaten path when it comes to Europe, meaning it's not nearly as touristy as the capital cities further West. Another great thing about Budapest is that it's not massive. The population is less than 2 million, and all the major attractions you'd want to see are relatively close together. Meaning that Budapest makes a great weekend getaway if you're already in Europe. 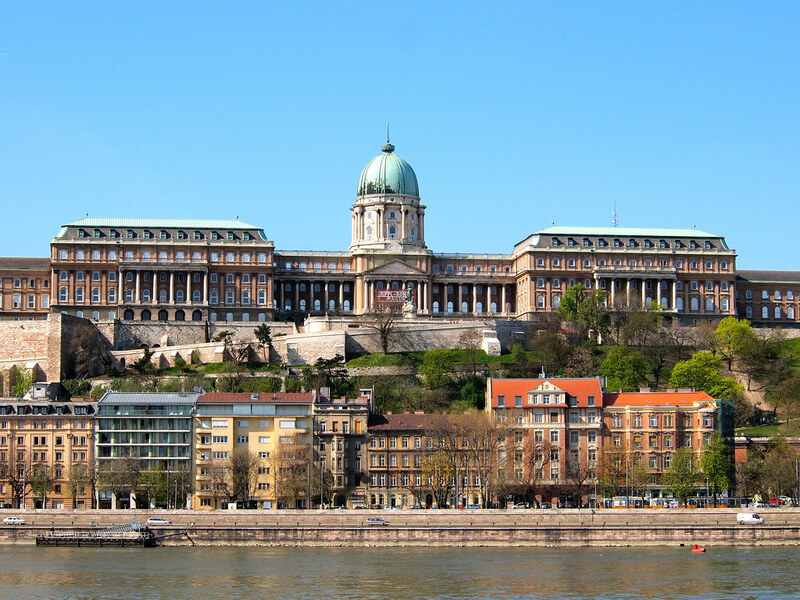 Budapest actually used to be two separate cities — Buda and Pest — divided by the Danube. They unified into one city in the 1870s, but still feel quite different. Pest, for example, is mostly flat and full of shopping and restaurants. Buda, on the other hand, is very hilly and more touristy than Pest — but that's just because of all the attractions atop Buda Hill. 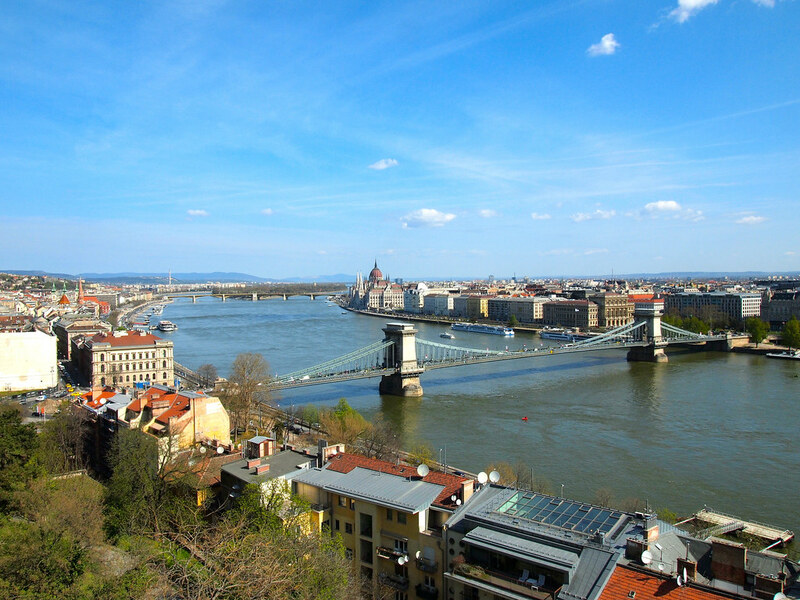 You can take the funicular or walk up Castle Hill to Buda's Old Town, where you'll find the Budapest History Museum and great views back down over the city's famous Chain Bridge. 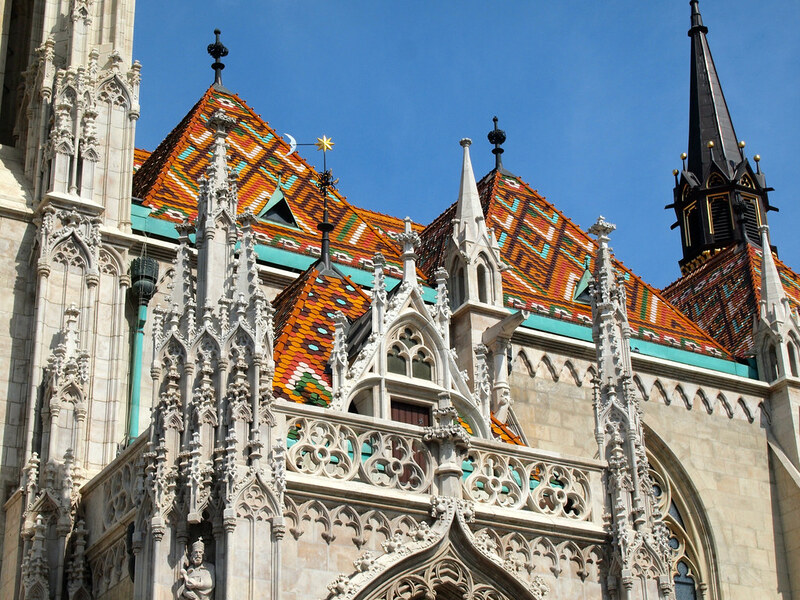 You'll also want to visit Trinity Square to see Matthias Church, a 13th-century Gothic beauty with a colorful tiled roof. 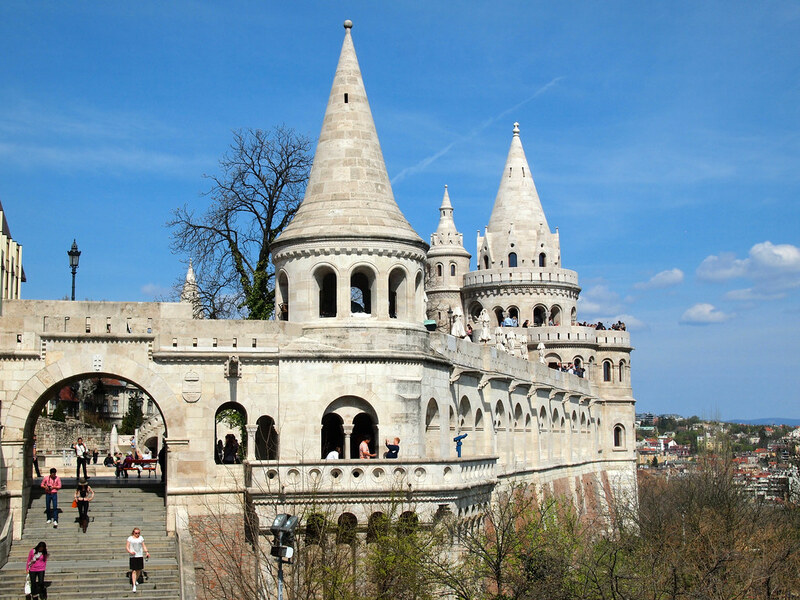 Next to Matthias Church is Fisherman's Bastion, which is my favorite spot on Castle Hill. The architecture is cool, and the views out over the Danube can't be beat. Beneath the city of Budapest lie dozens of geothermal springs. The city long ago harnessed these and built a handful of beautiful thermal baths. 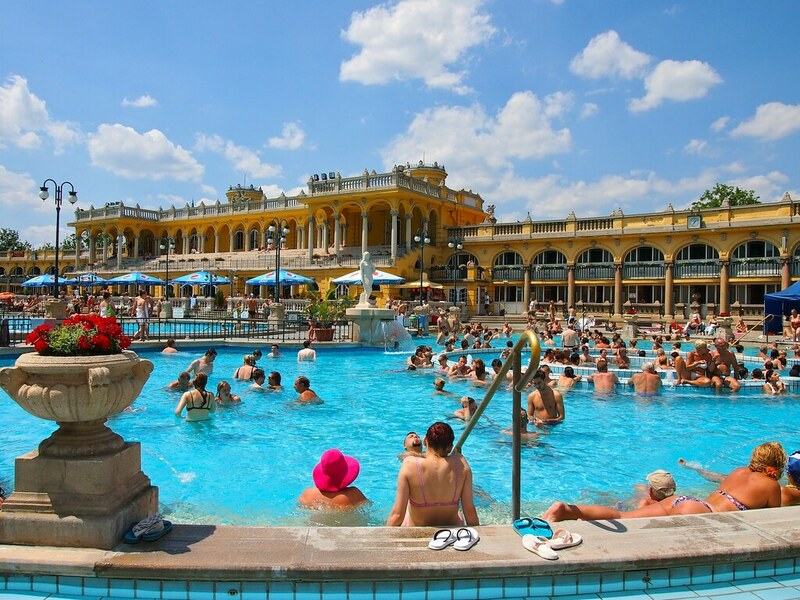 I personally recommend the Szechenyi Baths near Heroes' Square — the beautiful 100-year-old bath house has 15 indoor baths and 3 outdoor pools of varying temperatures. 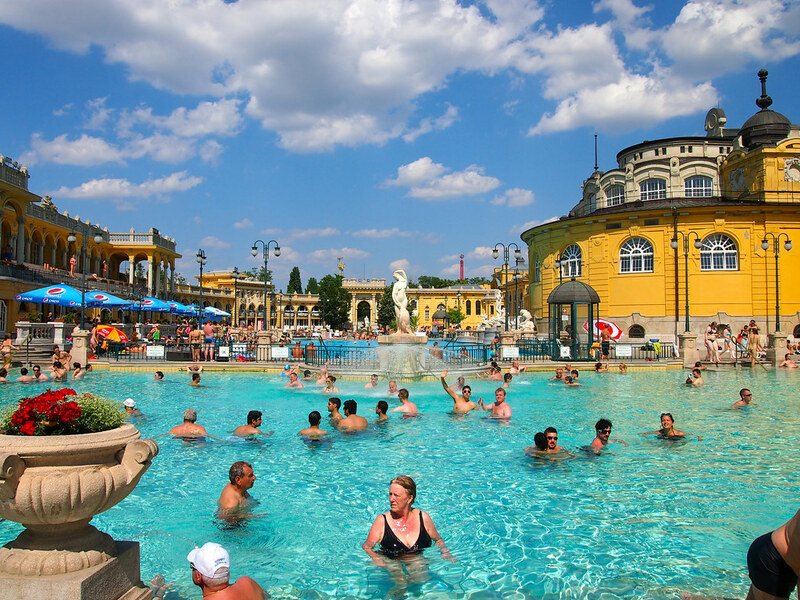 Also popular is the Gellert Thermal Baths, though I haven't been to that one myself. 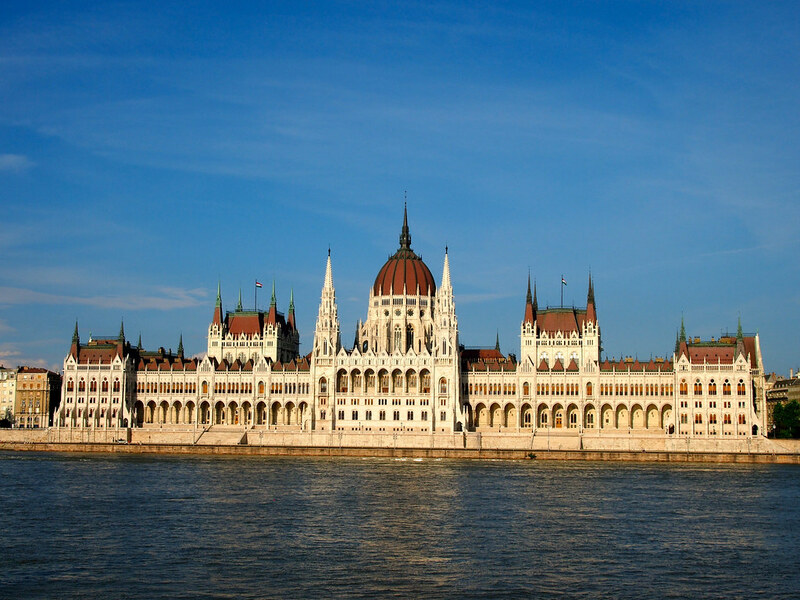 The Hungarian Parliament building — a massive example of gothic construction — really can't be missed in Budapest. And I mean that literally. It's so huge and stands out so much that you can't possibly not notice it. Make sure to walk by at least once to see it up close. While you're there, also check out the memorial on the bank of the Danube in front of Parliament. 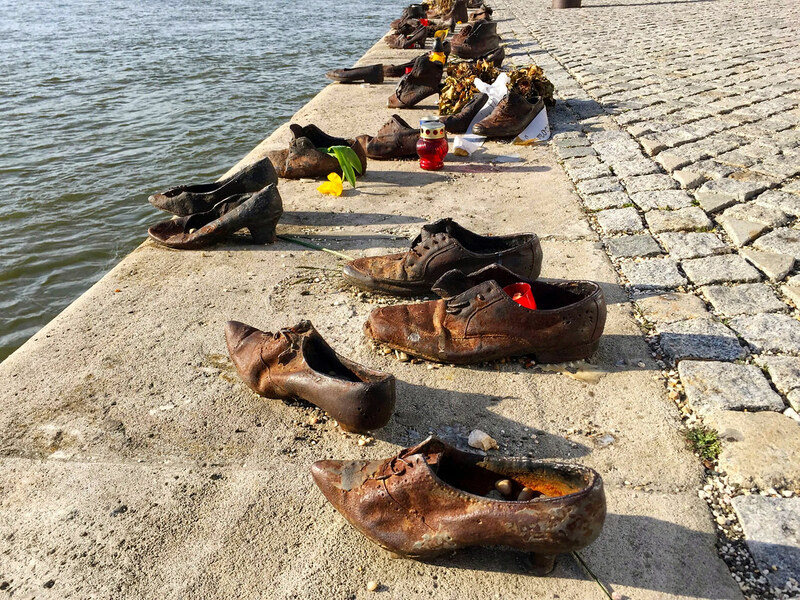 Sets of broze shoes sit here as a memorial to the Jews who were killed by fascist militiamen in Budapest during WWII. The memorial isn't flashy, but it's definitely moving. The people who were killed here were ordered to take off their shoes and were then shot at the edge of the water so that their bodies would be carried away by the Danube. I'm not really much for partying (in fact, if you know me, you know that I barely even drink), but Budapest has a very unique type of bar culture that's well worth checking out — ruin bars. At the turn of the millennium, these new pubs began popping up all over Budapest. They are located in run-down buildings and unused outdoor spaces that have been transformed into funky places where you can drink really cheaply. 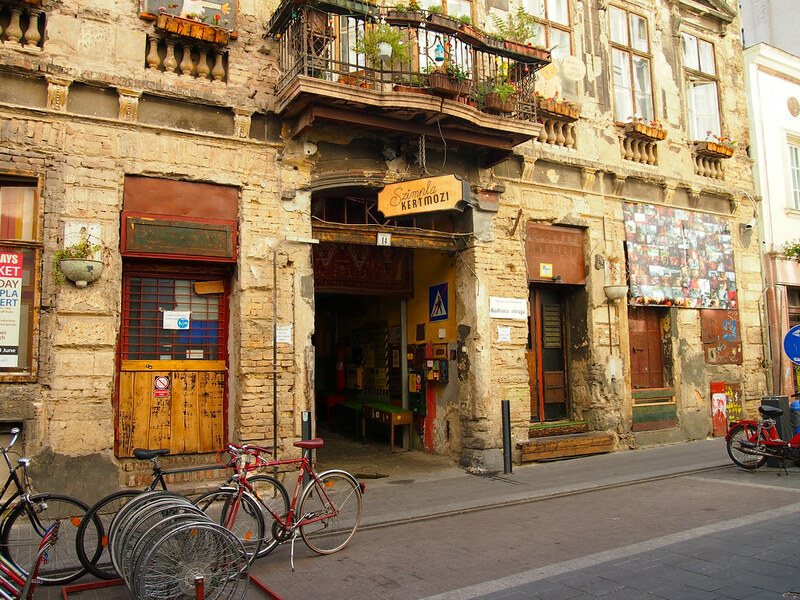 One of the most famous ruin bars in the city is the very first one, Szimpla Kert, found today in Budapest's Jewish Quarter. Inside, the bar is full of mismatched furniture — you can even have a drink inside half of an old Trabant car. 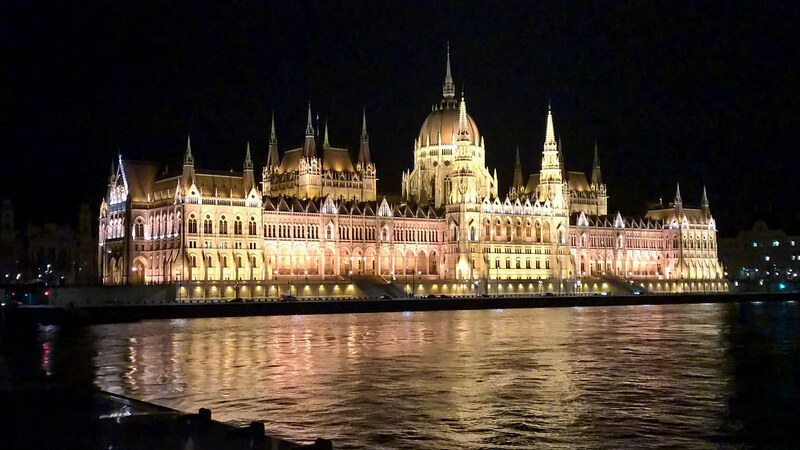 Lastly, no trip to Budapest would be complete without a cruise along the Danube after dark. Various companies offer after-dark cruises, and some even include dinner. Whatever your budget, make sure to book one. All of the buildings along the river and all the bridges crossing it are illuminated at night, making for a pretty spectacular sight. 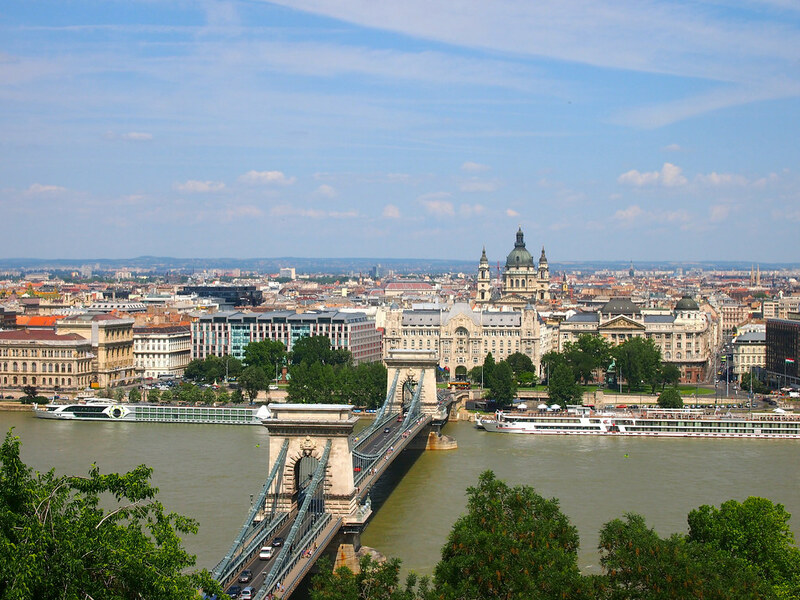 There are a lot of accommodation options in Budapest – many of which are ideally located and place you right in the middle of all the action. You could splash out on the , or book something more budget-friendly like the off Andrássy Avenue. Have you been to Budapest? What else would you recommend doing there? I actually love Budapest as well!!! I thought the Parliment building was beautiful and had a great time at the thermal baths. Plus, compared to many other cities in Europe it’s a steal! Definitely! Central and Eastern Europe is so much more affordable! It’s definitely a city that I know I’ll keep going back to in Europe! This was never on my radar really until a couple weeks ago, and now after seeing your pictures I definitely want to visit! Great to hear! It’s certainly worth a visit. Budapest looks like a charming city. Love its churches – the architecture looks so gorgeous! Though I don’t drink, I’d love to take pictures of the run-down bars that you mentioned. Sounds like Budapest has lots of character. Lots of character for sure! And the architecture is indeed very pretty. Have a try Szechenyi Bath in winter. Just imagine that while you are swimming outdoor in the warm water it is snowing. I absolutely LOVE Budapest! It just has such a quirky atmosphere. I only spent a couple of days there, but I can’t wait to go back and explore further. I feel the same way! The atmosphere is great, and it’s a place I always get excited about going back to. I guess I will revisit Budapest soon 🙂 I liked the view of the city from Citadella and I would definitely recommend Vajdahunyad castle right in the City park (just next to Heroes´ Square. Good tips! There’s certainly a lot to see in the city. Great to hear! I’ve been twice now, and I went to basically all the same places the second time around. Haha. Akatuki, One place that’s really interesting, especially to eat, is the Jewish quarter…Just thinking of it makes me want to book a ticket! It’s certainly not as off-the-beaten-path as it used to be, but it’s much less touristy than most other big cities in Europe! I love Budapest! I’ve been there three times already, but it’s definitely a city I’d return to and spend a month in. I actually prefer Gellert to Szechenyi baths, at least for visiting in winter as they’re mostly indoors! Good to know about the baths! I went in summer, and I loved how colorful the outdoor pools at Szechenyi were! I got invited to go party on Margaret Island a couple summers ago, but unfortunately was really jetlagged so I said no. But I’ve heard it’s really great there in the summer! 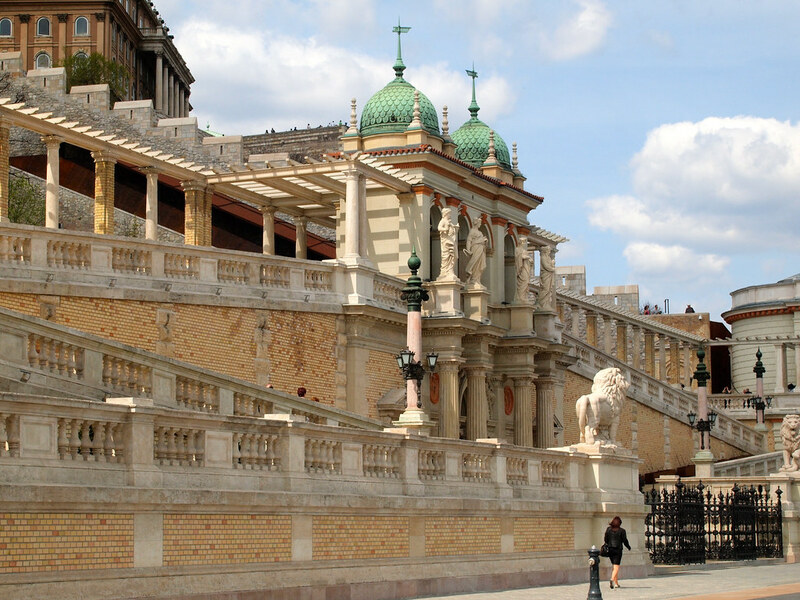 I did a very similar trip to Budapest (tacked on to some time spent in Italy) and loved it! Compared to other European capital cities I found it to be less touristy and more “lived in.” Out in the ruin bars I met students, locals and backpackers, but felt off the beaten path from most American tourists. Also loved the baths! Yeah I definitely agree! Even though I’ve read statistics that Budapest is in the top 10 of most-visited cities in Europe, I still think it’s much less touristy than many other places I’ve been. 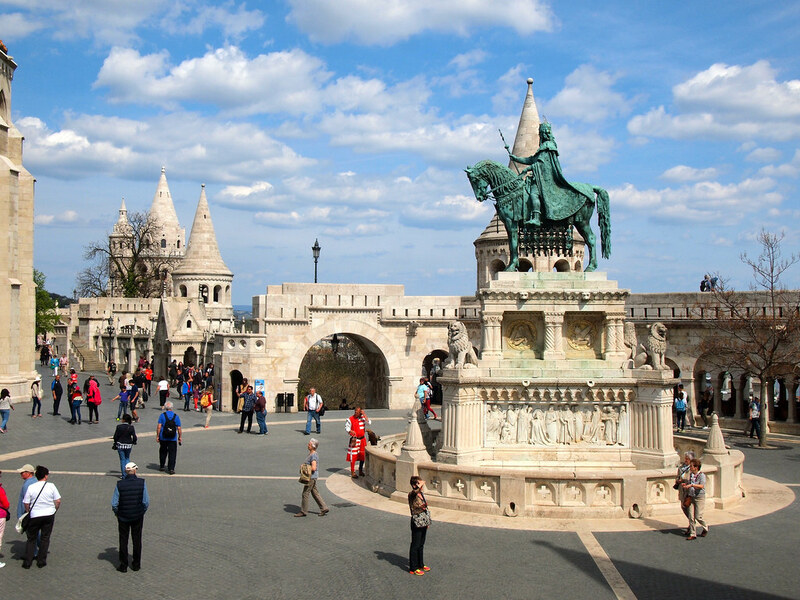 I bought a sightseeing/museum pass through Viator.com–it’s a money saver if you’re in Budapest. At my request, it was sent to the hotel where I was joining for a group tour of the Balkans, the famed Gellert. I picked it up when I checked in. Free entry to the spa if you stay there! I wanted to visit the Hungarian National Library but it was closed since it was Sunday. 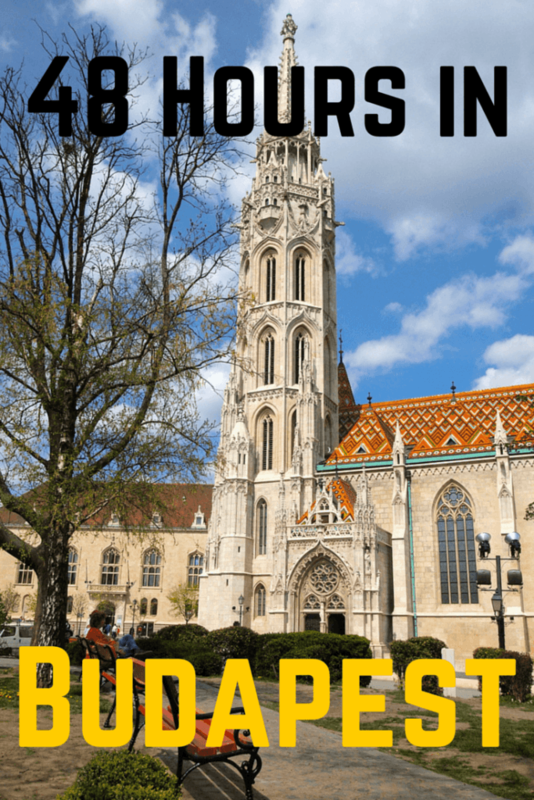 On the Pest side, St. Stephan’s Cathedral offers great views of the city and its treasury is worth seeing. I bought a combo pass for the tower and treasury. The Central Market is worth visiting: you can buy fresh foods there. The 2nd level is loaded with souvenir stands and has some eateries. As always, check the hours of any place you plan to visit since they’re subject to change. So awesome to hear! I hope you love it as much as I do! Looks nice and fun! I’ve never been but I would love to go one day. It’s definitely worth a visit if you find yourself in Central Europe! 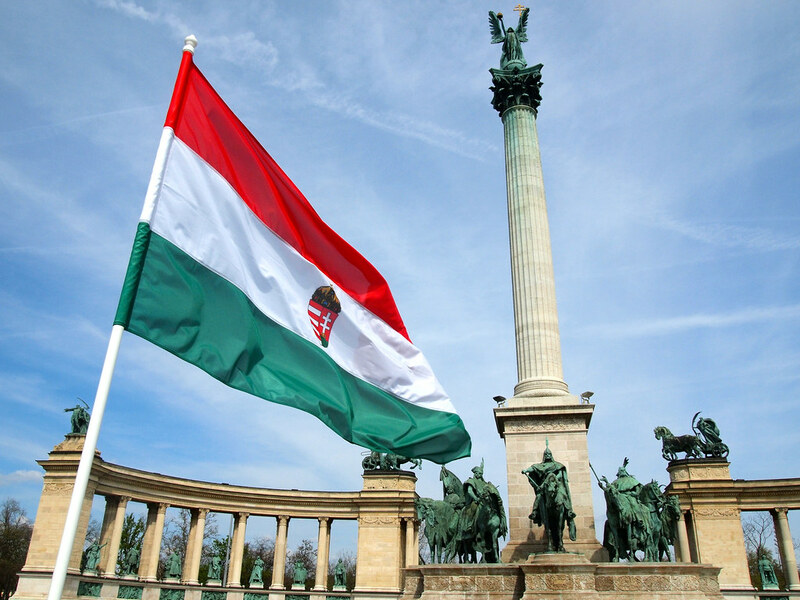 Oh, going by your post, I would love to have those 48 hours in Budapest anytime! Love the old world charm around the church precincts. Definitely – this city is so pretty around just about every corner! I’ve heard such good things about Budapest. My friend was lucky enough to study abroad there, and it changed her. It is a bit far from Singapore, but one day I’ll try to make it out there 🙂 Thanks for sharing! I imagine it would be a really cool city to live in for a while! 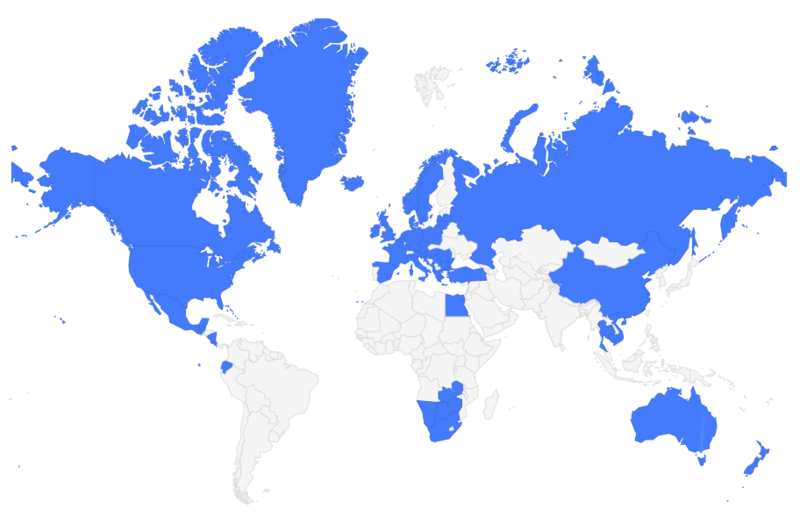 Hi Akatuki, I am very glad to see that Budapest is one of your favorite cities in Europe! As a Hungarian myself and having lived in a few of the most stunning big towns in Europe (greetings from Prague), it is still my favorite! I would add one thing to your program suggestion: it is worth to go inside the Parliament, even if you are not interested in politics! 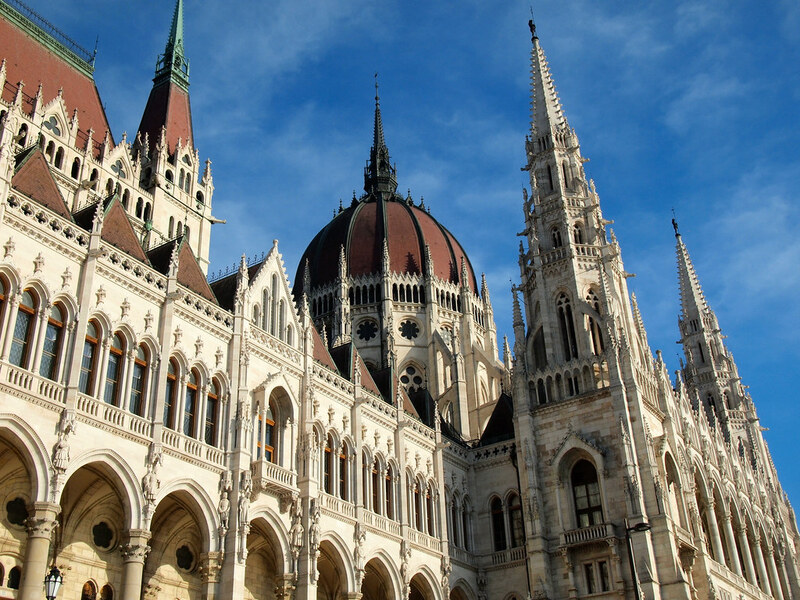 An amazingly beautiful building (only looks Gothic, it was built in the end of the 19th century, in Gothic Revival style), and also the Holy crown of Hungary is on display. And thanks for the Parliament tip! Guess I need to go in next time! I’m sold! I often try to tack on a weekend getaway when I travel to Europe on business and this may be the next side trip I make It reminds me of Prague — which I loved. The shoe memorial is very powerful. I’d like to see that for myself and then stop in a ruins bar for a drink. Thanks for sharing Budapest with us! It’s a perfect weekend getaway – and most of the budget airlines fly there, too, which makes it even more affordable! It IS a lot like Prague, but I actually like Budapest a little bit better! I definitely would check out the ruin bars next time though! Ruin bars! How awesome. And I had no idea Budapest was all into thermal springs. Haha, sounds like you’d really like Budapest! Budapest is amazing city and the mineral baths are interesting attraction. Even in the winter! I would recommend the Budapest zoo near the Szechenyi baths. I think I’d love to go to Budapest in the winter just so I could go to the baths! Hi Akatuki, we have been to Budapest recently. 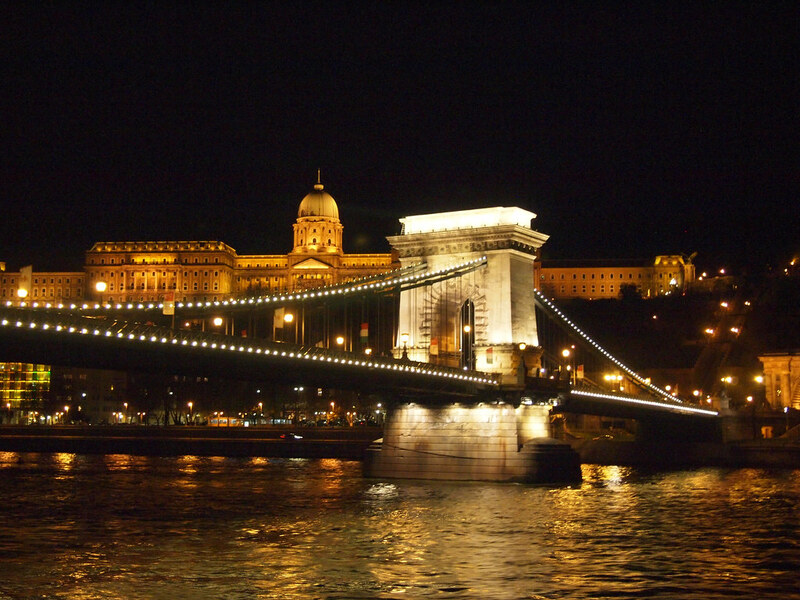 We absolutely agree with you, Budapest is one of our favorite cities of Europe. Liked your post very much. Glad to hear that you guys agree! I am planning a trip to see friends in England in April but was looking for a get away during my stay! I think you have helped me make my decision. Awesome! 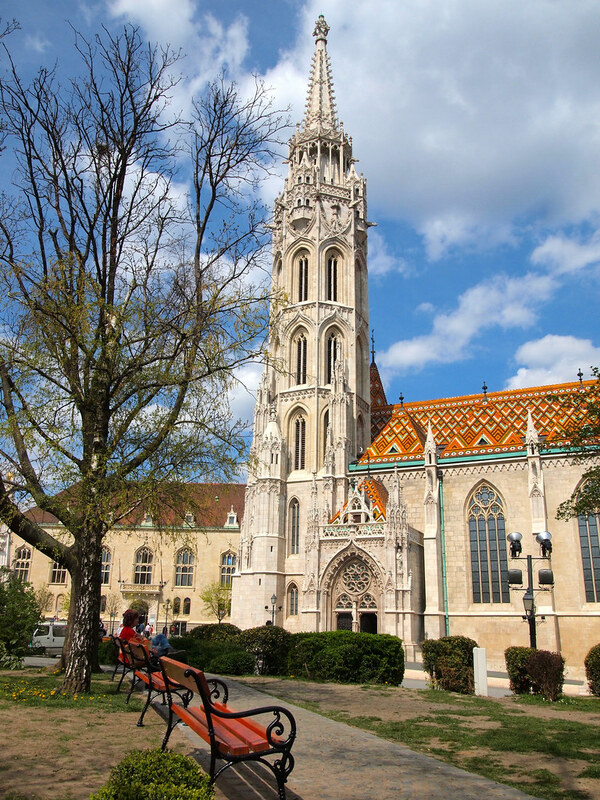 Budapest is great any time of year – and a relatively quick flight from England, too! Hi Akatuki, just found a couple of your posts as my family and I are planning our Amawaterways cruise out of Budapest and have a question for you. 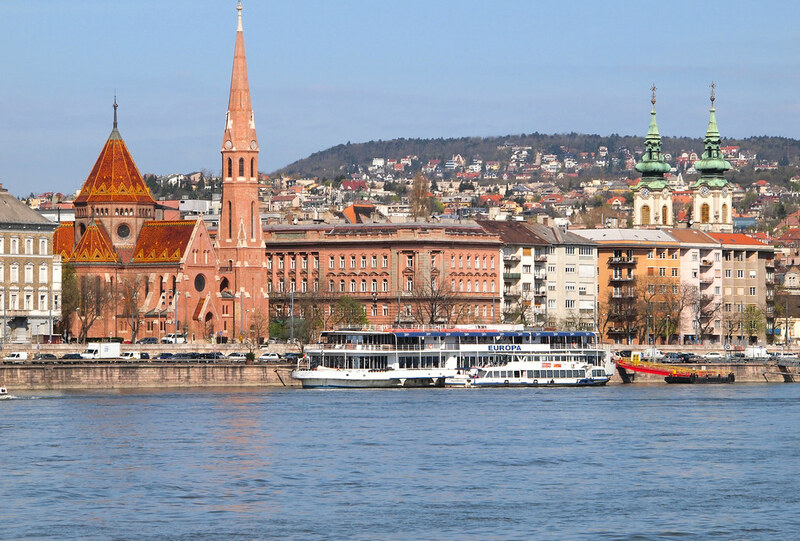 We have about 48 hours in the city before our cruise sets sail and so far our plans include most of what you suggest except for the evening cruise along the Danube. Is it worth booking a separate evening cruise or do you feel like you were able to see a lot of that as the ship sailed out of port? Just trying to gauge if it’d be worth the extra money. Thanks! Hey Holly! That’s a great question! I would probably say don’t bother booking a separate Danube cruise at night. 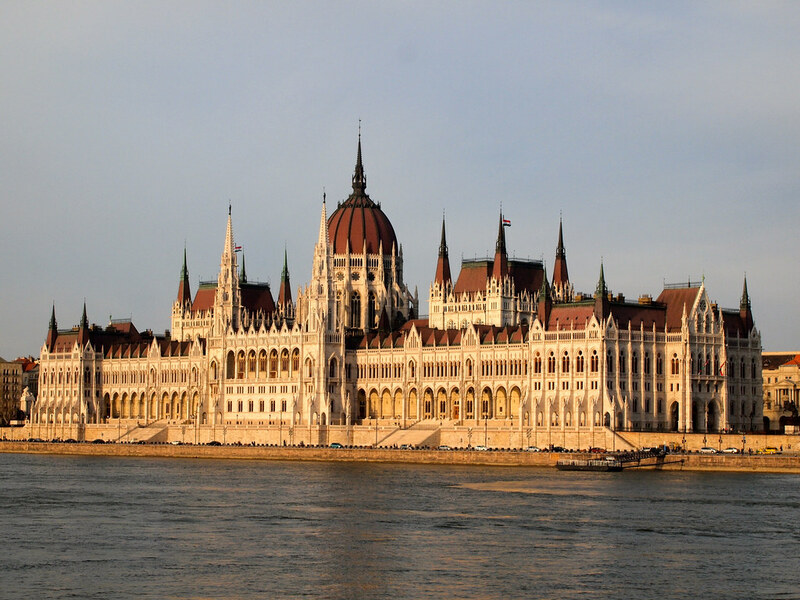 I’ve sailed out of Budapest with AmaWaterways, and you’ll definitely see all of the highlights that way – they sail you up and down the river so you see Parliament and all the bridges illuminated before you head off up or down the Danube. I’m off to Budapest in May for my 30th birthday and this just makes me more excited to go. Thanks for the advice. Have a great time, Lisa! We are traveling to Budapest this weekend and are thinking of doing one of the e-bike tours for about 4 hours. We have a group of about 6 interested. Have you biked around Budapest? I have not biked around Budapest, but I’ve done e-bike tours elsewhere and they’re really fun! My husband & I will be in Budapest for 2 days in early December before picking up a Christmas market cruise on the Danube. Even though it’s still quite a few months in the future, I’m really excited after reading your, & everyone’s, recommendations. Can’t wait to get there & see everything!